I have managed to fit in some serious chilling lately. Amidst some mega full-on busy pre-Christmas times I’ve still taken time out to watch Snow Dogs and Room on the Broom, wrap a ton of Christmas presents, catch up on this week’s Gogglebox and Made in Chelsea, read most of Eat, Pray, Love and eat far too many M&S mint whips. If you follow me on instagram you might have seen that my chilling has been coupled at all times with my new best pal, my Onepiece onesie. Let me start by saying that I have been dreaming of owning a Onepiece onesie for years. 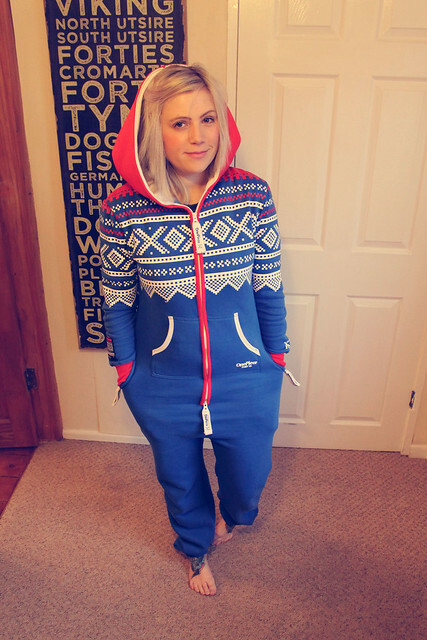 A couple of years ago when onesies first hit the shops, I developed a serious, burning desire for a Onepiece one. They are the ultimate in onesie – the original (and clearly the best). You just can’t get the thick material, long zip and good fit elsewhere. Believe me, I’ve tried. 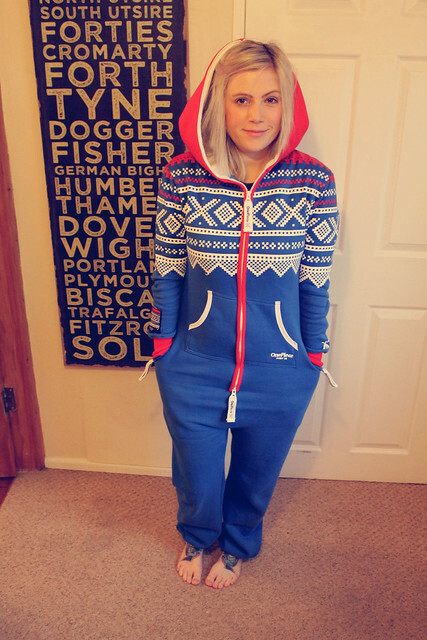 My first onesie cost me £55 by another company on eBay. Back then they weren’t available in other shops so you paid a premium just to own one. I wish I’d just splashed a bit more cash and bought a Onepiece one; all of this years I have been being a lazy-bum in substandard loungewear, and I have been missing out. My Mum has long instilled in me the concept of cost-per-wear. Every time I’d feel guilty at having paid for an expensive haircut or bought a pricy handbag she would reassure me that the cost-per-wear would even it all out in the end. That’s why I didn’t feel bad when I bought my SLR, or my Kate Spade handbag, and why I adore my Michael Kors watch and other slightly pricier items that are well worth the cost. I tend not to splash out on expensive party dresses or buy too many Christmas jumpers or summer-y outfits as I know the opportunity to wear them is so limited. But one area I can get on board with spending out on is loungewear. Yes £59-£159 might seem expensive for a onesie, but since I’m practically living in mine at the moment I can tell you that it will all be worth it. A year of onesie evenings makes that £100 onesie cost 27p per wear. A small price to pay for ultimate comfort. If you’re still not convinced, how about a cheeky discount code to make it even better? Onepiece have kindly created a 20% off code for all of my readers so you can pick up an amazing Christmas present for yourself or someone else. The code is 31AROSIEOUTLOOK2 and it’s valid until Boxing Day. That would make one of their original onesies a bargainous £47. What’s not to like about that?